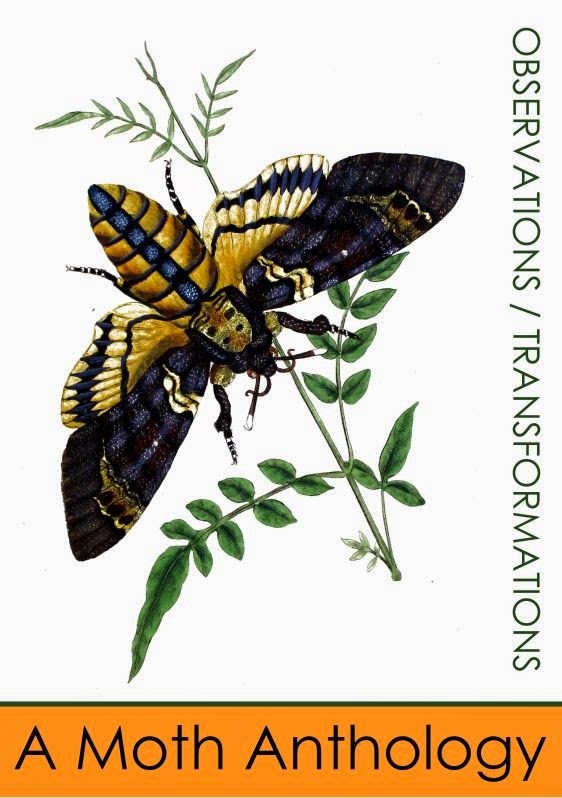 Last Monday's catch brought a number of moths that were new to me and it took me many hours, leafing through books and consulting the internet, to identify them all. Wednesday's catch was a bit smaller but still gave us a few different species - and a new moth to the garden. The Bee Moth (Aphomia sociella) is a common moth, but one with interesting habits and behaviors. Like the Gold Swifts from last week, the males and females are sexually dimorphic –meaning that the males are more brightly colored and patterned than the females. They get the title “bee moth” because their larvae feed on the combs inside bee and wasp nests. Its scientific name is interesting and confusing: Aphomia means “unlike” a genus for species differing sufficiently to warrant separation, while sociella means associating together because of the social habits of the larvae. This little one was a real menace and I spent hours upon hours trying to figure him out to no avail. He was no match for Charlie Fletcher, though, so a big thanks to Mr. Fletcher for helping us out once again! This micro is an Ash Bud Moth (Prays fraxinella), and as its name suggests it feeds on ash buds. Its scientific name also refers to its feeding habits, as fraxinella refers to the ash tree, while Prays means gentle and soft. The moth comes in different forms: a lighter patterned one and ours which is the melanic form. It is important to clarify that this moth is not one of the pests or diseases currently plaguing ash trees –those pests are beetles such as the Emerald Ash Borer, in addition to certain fungi. 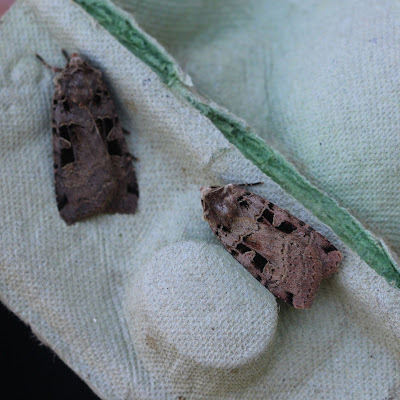 In this trap we also had two Double Square Spots (Xestia triangulum), frequent visitors, but here we can see slight but noticeable variances in its forms.